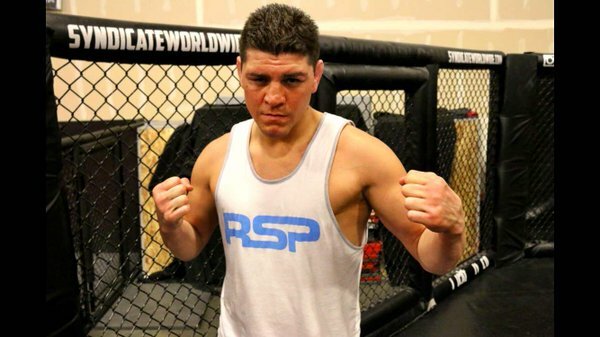 UFC fighter Nick Diaz was arrested on Thursday evening by the Las Vegas Police Department and is facing several charges of domestic violence. Diaz is facing a felony charge of domestic battery by strangulation and a misdemeanor for domestic battery with alleged actions carried out involving a female victim. Diaz was placed in custody at the Clark County Detention Center but is believed to have posted bail and is now out. Aaron Bronsteter of TSN spoke to the Public Information office, they cited a bail figure of $15,000 set for the felony charge and $3,000 for the misdemeanor charge. The organization does not tolerate domestic violence and requires all athletes to adhere to the UFC Fighter Conduct Policy. Every athlete is deserving of due process, and this situation, as with any official allegations, will be duly reviewed and thoroughly investigated by an independent party. The 34-year old Diaz last fought in January 2015 against Anderson Silva at UFC 183. Diaz lost the fight by unanimous decision, but the result was later changed to a no-contest after Silva failed a drug test for the bout. The news was first reported by Front Row Brian on Twitter.